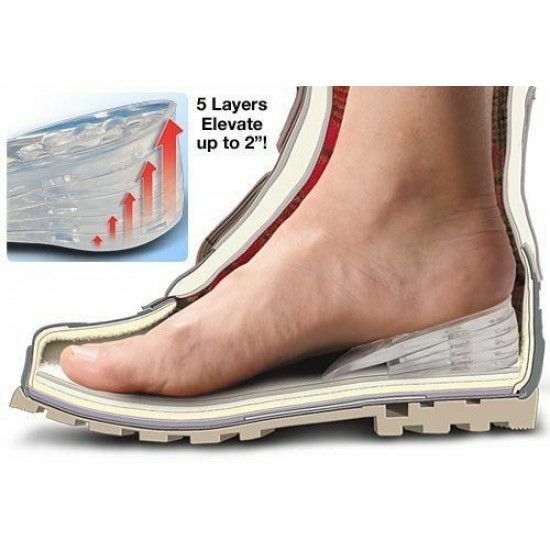 The five-layer, gel lifts snap together to add up to 2 extra inches to your height while improving your posture and reducing heel shock. Instantly increase your height with the comfortable Insta Height. The five-layer, gel lifts snap together to add up to 2 extra inches to your height while improving your posture and reducing heel shock. Perfect for both men and women. Up to 4 lower layers, each 6.5mm thick for an additional height increase.